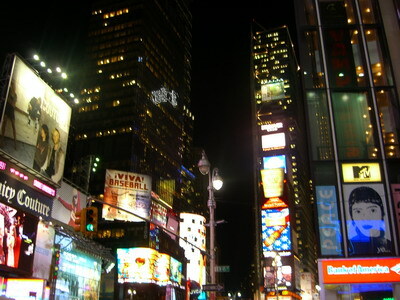 Obscure Simpsons quote nonwithstanding, got to spend a couple days in the Big Apple right near Times Square. I am always impressed how nice gotham is compared to visits I made fifteen years ago. 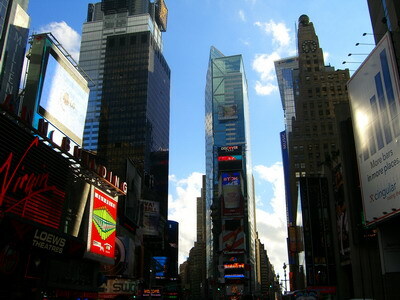 The weather was perfect, slighty chilly and azure sky. Makes the buildings seem even taller. 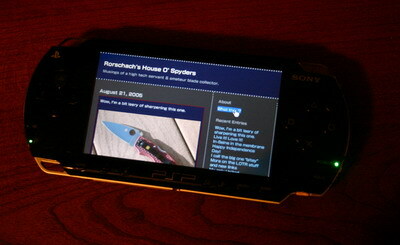 The Sony PSP is ostensibly a gaming machine, but the 802.11b capability and full browser make it a passable vehicle for viewing web pages. URL entry is incredibly arduous due to the lack of a real keyboard, but once you copy your bookmarks to the memory stick the process is easy. One could imagine a VoIP client like Skype or Google Talk running on this device as well. As someone rooted in the high technology sector, we have been talking about devices like these for more than 20 years, but now they seem to be on the real cusp of fruition. Allright then: favorite game right now: Hot Shots Golf. RPG: Brotherhood of the Blade.